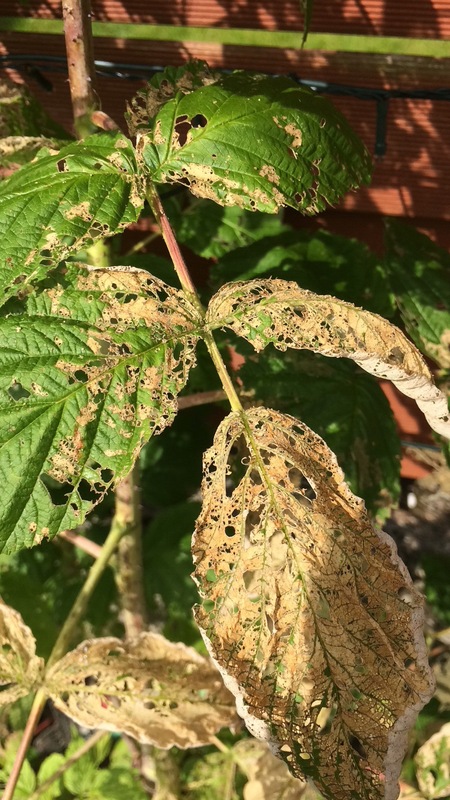 What's happening to my raspberries? Can anyone tell me what is happening to my raspberry canes? i have two newly planted canes which have both gone like this. I've had no fruit on either. I've looked for beasties but cannot see anything. i know you are supposed to cutback canes. Can I cut these back and hope for the best or are they beyond hope? This used to happen to my raspberries at the end of summer too. I never discovered what was nibbling them. In answer to your question, it's a good idea to remove all the old canes of raspberries in the autumn anyway. Don't worry, they are extremely tough - most of the fruit you get in the supermarket is from Scotland - and will sprout again. Did you notice any problems with the fruit? Are we talking about a summer or autumn fruiting variety of raspberry? Silly question, you say "new" canes, have you been watering them? I only do this with mine when they ARE newly planted, they dont get a drink from me after this.